Brand-to-Consumer Expo® - Culturati Research & Consulting, Inc. - Culturati Research & Consulting, Inc.
Would you like to be immersed and integrated into the Hispanic culture while interacting with your consumer? 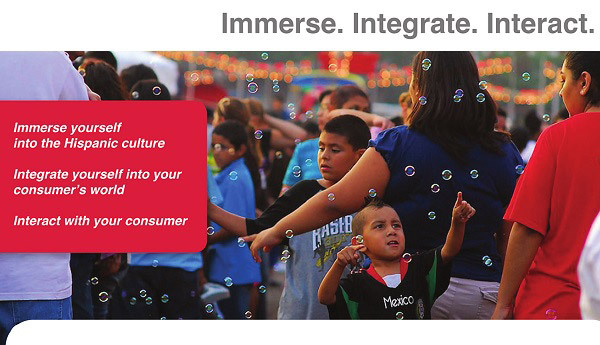 Culturati’s Brand-to-Consumer Expo® gives you and your team the unique opportunity to interact with U.S. Hispanic consumers in an easy-to-use and efficient way that will result in quality learnings. In-market surveys are conducted amongst Spanish-dominant Hispanics by your bilingual team members or, if requested, bilingual ethnographers can be present to interview consumers. These expos are ideal for claims, icon or packaging evaluation and are held during selected large street festivals in key Hispanic markets to maximize the experiences for the brand team.